This is a lovely periwinkle blue. The formulation is surprisingly easy to work with; it is opaque in two coats. The finish is smooth and shiny. I love how the color is super fun and fresh, yet it's not a typical, overdone summer shade. Rich and pigmented, Ocre Mediterranee is a bright red with strong orange undertones. I used two coats for the swatches below. A delicious soft cantaloupe coral, this is another stunner. With a lighter shade like this, I was expecting a sheerer formulation but I only needed two coats for a smooth and opaque finish. What can I say? Lancome always knocks it out of the park. All three shades are absolutely stunning and the creamy and easy-to-use formulation seals the deal! 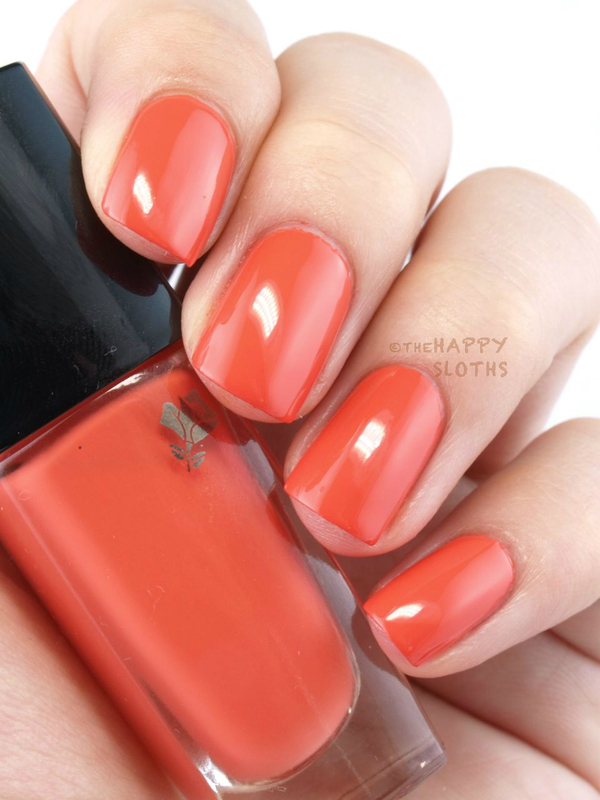 My personal favorite is Corail Rouge, it's a very subdued soft coral that we don't see often in Summer Collections. Plus, for a shade so light, it only needed two coats! 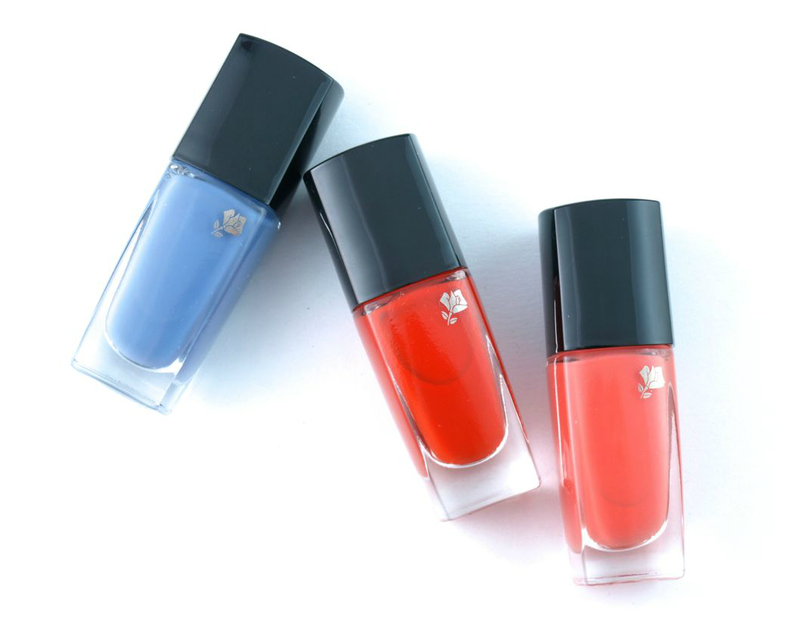 The limited edition French Paradise Collection from Lancome is available now online and in stores.